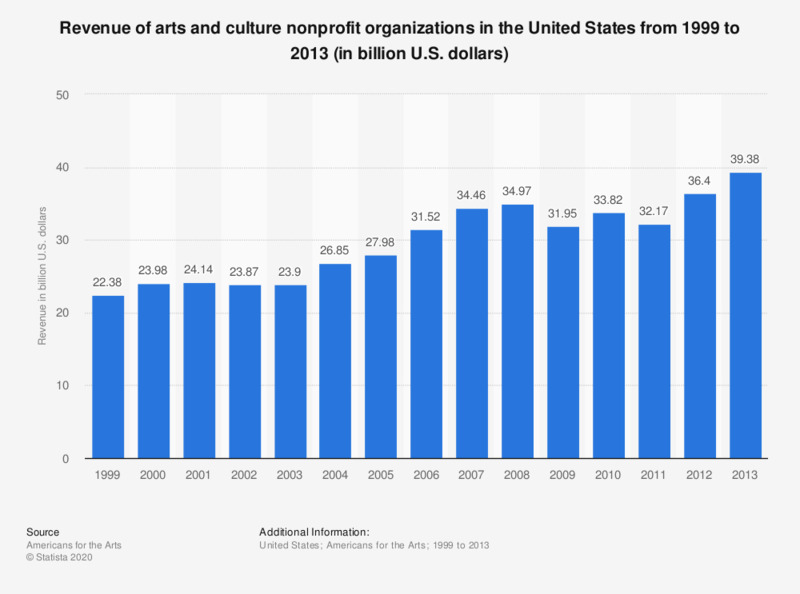 This statistic shows the revenue of arts and culture nonprofit organizations in the United States from 1999 to 2013. In 2012, the revenue of arts and culture nonprofit organizations amounted to approximately 36.4 billion U.S. dollars. * Non-profit arts organizations include for example theatres, orchestras, museums, community arts schools, dance companies. Revenues include fees paid by arts customers and audiences, grants, contributions, and other subsidies, and income from reserves and endowments.